Highly contrived, lushly photographed, melodrama relying on lots of coincidences. 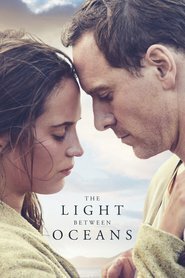 But Michael Fassbender and Alicia Vikander, with acting that is restrained, along with a good Australian cast, do a reasonable job of making us go along with the story. It’s an old-style piece of slow storytelling. There’s a powerful message in this movie about forgiveness and resentment and the way they play out during adult emotional crises. If you can overlook the flaws, this is an enjoyable movie — particularly if you like a story that pulls at the heartstrings. Some of us will need to take tissues.